Deena is a Lecturer in Pediatric nursing at College of Nursing, CMC, Vellore. 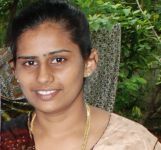 A registered nurse, Deena completed her undergraduate nursing from CMC, Vellore. She worked as a tutor in Community health nursing before joining The Leprosy Mission at Salur. She joined M.Sc Pediatric nursing in the year 2008 and completed her post graduate education in 2010. After teaching students in Fundamentals of nursing for 4 years, she started working in the Pediatric department at CMC hospital. She advices nursing aspirants as well as guides young nurses towards achieving their career objectives. 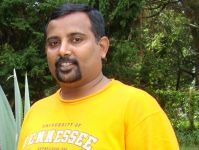 David Prakash, is a qualified Physiotherapist who has specialised in Orthopedic Physiotherapy. After 9 years of teaching experience in various capacities in The Leprosy Mission, David joined Schieffelin Institute of Health Research at Karigiri, Vellore in 2009. He is the Principal of College of Health sciences, which runs about 8 different courses at the Diploma, graduate and post graduate level. In early 2014, he took over as the Head of Training department at the hospital, which also runs a nursing course. With his rich experience in training various professionals, he is able to help students and professionals realize their dreams.